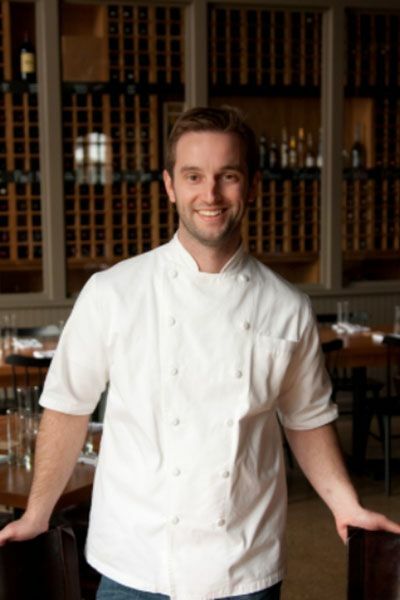 Chef Marcus Paslay was born and raised in Arlington, Texas. He has enjoyed hunting and harvesting from a young age which created an early appreciation of food that blossomed into a lifelong passion. Marcus graduated from the Culinary Institute of America (CIA) Hyde Park, NY in 2006. After graduating from the CIA Marcus and his wife, Emily, moved through 6 states as "working tourists" of our great nation. This included learning to prepare fresh seafood in Alaska, belonging to the opening team of Four Seasons Vail, CO, butchering fresh meat and fish on the Big Island, Hawaii, preparing rustic American Cuisine under award winning chef Gerard Thompson at Rough Creek Lodge in Glen Rose, Texas, creating beautiful, molecular dishes under James Beard award nominee Chef Jason Franny at Canlis in Seattle, and working as executive chef for Neighborhood Services in Dallas. Marcus and Emily returned home to begin their family in 2011 which now includes daughter Henley and son Hudson. The Clay Pigeon allows Marcus to celebrate his love for food and share his personal style of preparation with you.